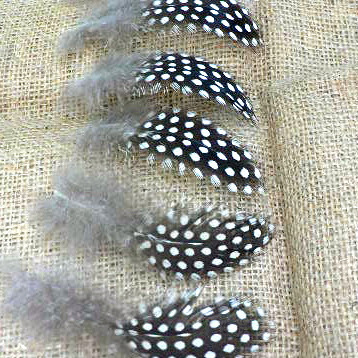 i really wanted to incorporate feathers into a few details of our wedding, but of course had some general concerns around how feathers are sometimes obtained (not always removed from the animal in a kind or respectful way) and most of the feathers i was finding in stores or online were being shipped from china (kind of a long way to travel for something that isn't really super crucial). a few months ago, i found an AH-MAZING little shop that sells (get this) 'free-range, cruelty free feather'! frogworks is a small family run business out of california. they have a variety of birds that they care for including parrots, macaws, cockatoos (one very special cockatoo - she's blind) and many free range peacocks, guinea hens, geese and banty hens. as the birds feathers are naturally shed, they collect them and sell them through their shop with all the proceeds raised going back into the care and feeding of the birds. how wonderfully rad!! I love that you carefully thought that through. Way to be!